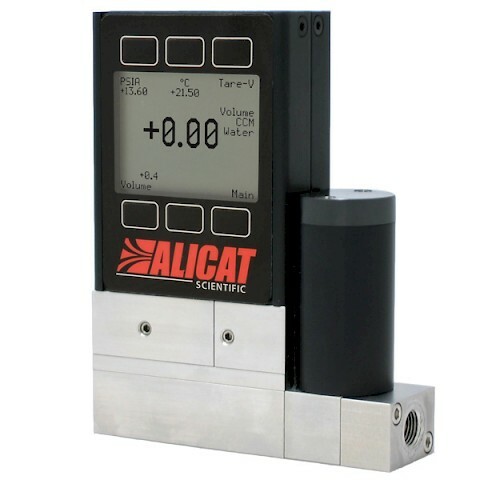 The Alicat LC & LCR Series liquid flow controllers use patented laminar flow design to provide a fast, accurate and repeatable volumetric flow measurement. 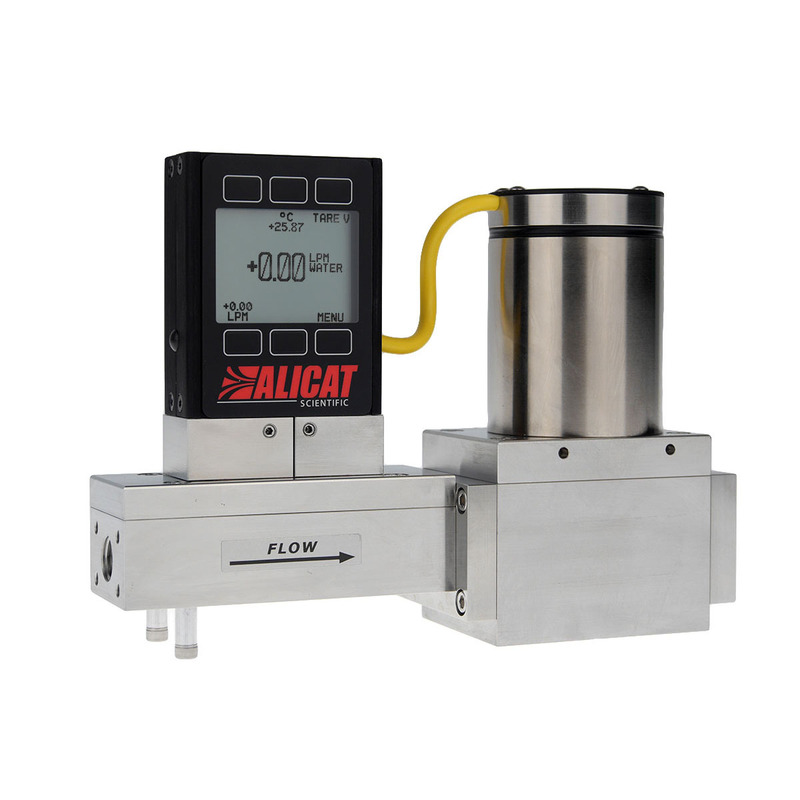 Every device allows simultaneous display of the volumetric flow rate and line temperature, there is an option to add line pressure also. 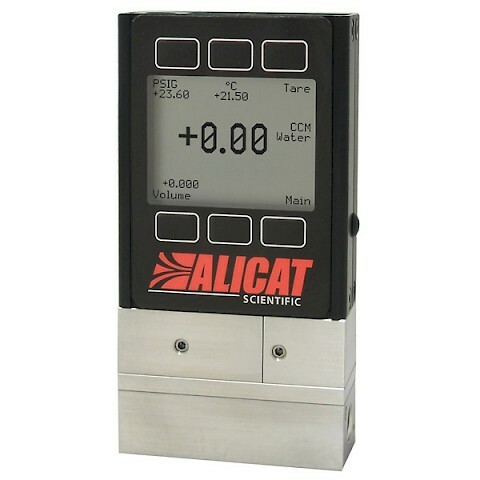 Like all Alicat devices there is no warm up time so the meter is ready to go in one second. Full scale flow rates are from as little as 1 Litre per minute up to 5 LPM with a meter turn down ratio of 50:1. Devices are available with a 0 – 5 or 0 – 10 VDC analogue output or 4 – 20 mA. 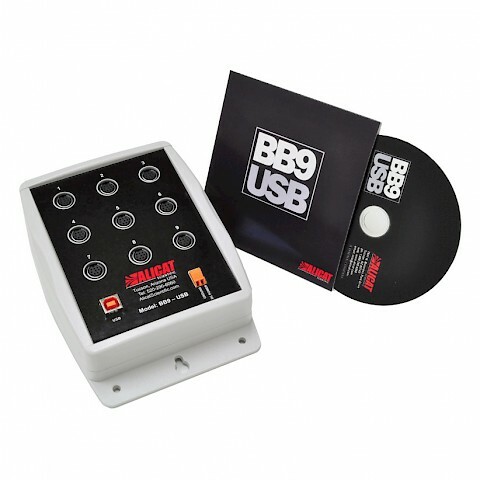 RS 232 comms are standard with other options also available. Custom orifice sizing enables us to tailor-select a valve to satisfy your application and performance requirements.